How to create a simple rustic home? A simple rustic home has timeless appeal. It is earthy, seriously comfortable and centred on the simple necessities of life. This is a look for those times when we just want to withdraw from the world and indulge in a private cocoon of homely comfort. But this doesn't mean a rustic home needs to be old-fashioned. 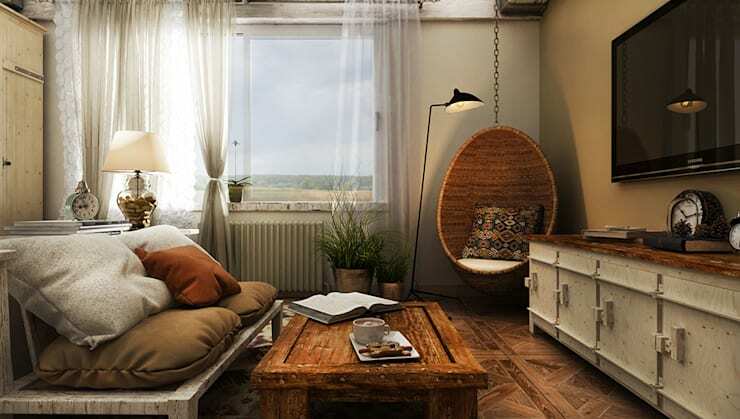 A rustic decor is a flexible look that can be found in shabby chic, vintage, Scandinavian and eclectic decors. Perhaps the reason for its widespread appeal is that homely comfort never really goes out of style. 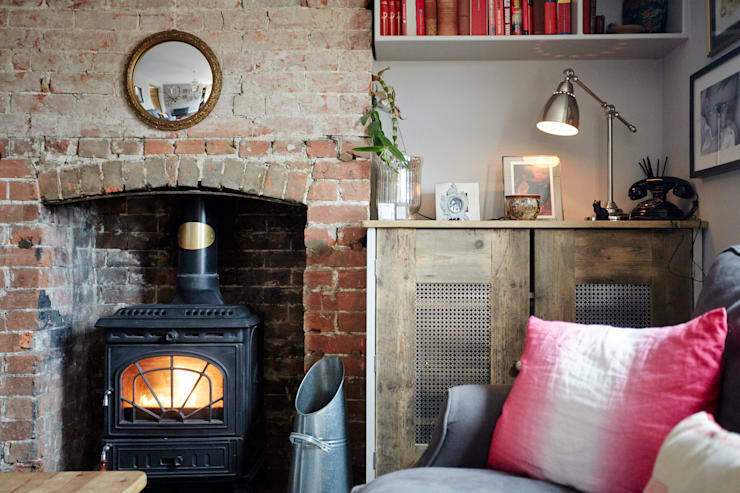 Here at homify we have explored a huge variety of rustic interiors and pared it right down to a few universal basics. So weather you are interested in a contemporary rustic look or something veering on the end of shabby chic, we're sure you'll find something here to help you create a simple, rustic home to suit. Come on a tour to explore a few options and learn a little more. The universal factor in creating any kind of rustic home is the colour palette. It should be earthy and soft on the eyes. Soft or rich browns and golden yellow hues are best. Cold colours such as blue and white, whites should be completely avoided. If choosing a red, it's better to err towards the warmer reds and avoid anything that jars too much with the existing scheme. Any whites should be softened by a tint of yellow. 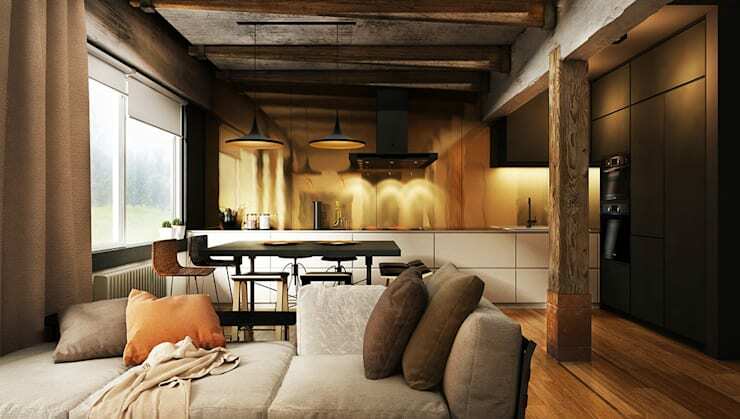 Contemporary rustic homes are often suited to a lighter colour scheme. If you are tending towards a lighter base colour like this one, it's best to choose a softer grey and add warmth through the choice of warm light globes or LED lights. Mediterranean tiles and colour schemes often fit beautifully into the rustic look. 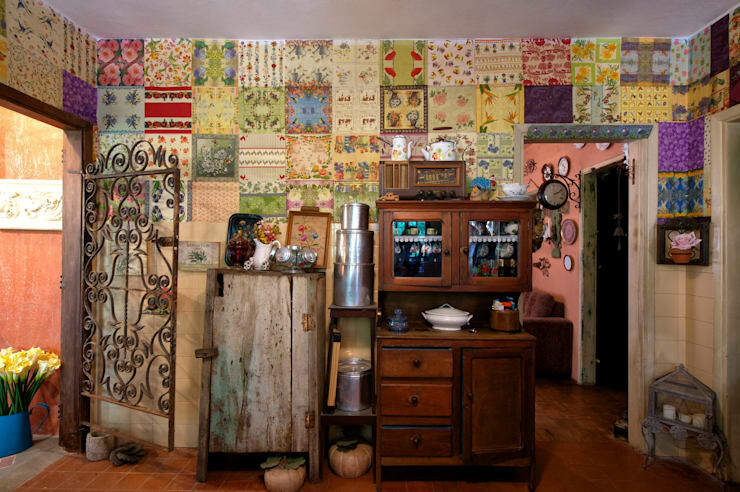 They usually have the right earthy colours and the softened lines and patterns of folk-art. Don't be afraid to mix and match them as seen here in this beautiful rustic kitchen. If Mediterranean tiles aren't your thing lots of other ethnic and vintage tile patterns will work with this look. 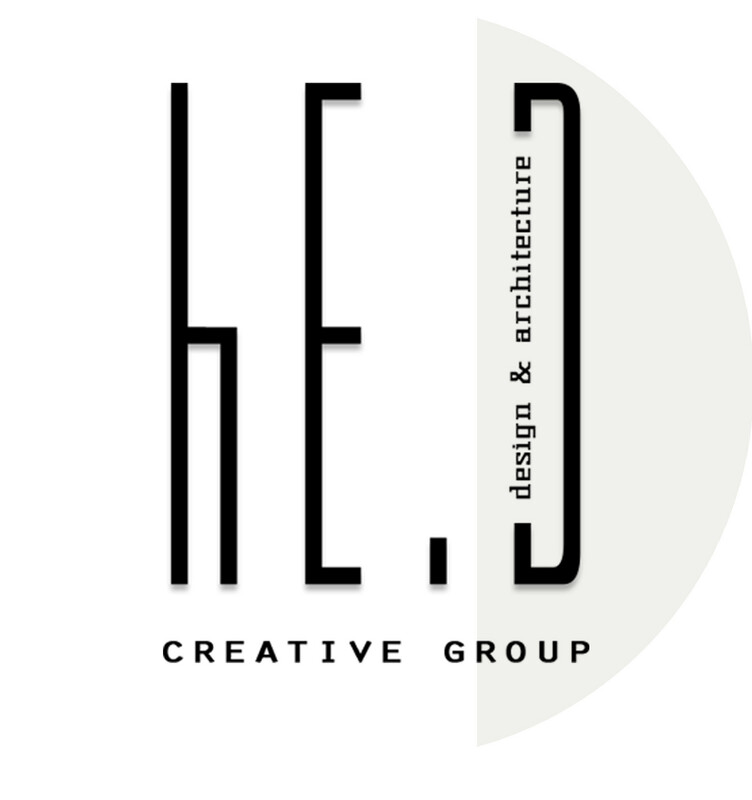 The key design factor to consider is the colour scheme. It should be simple, earth and have that touch of imperfection that shows evidence of the human, folksy touch. Natural materials are a must for any rustic interior. In their raw state, natural materials contain surface variations and organic lines that can work for a surprising variety of rustic home decors. Wooden furniture is a classic choice. But feature walls or floors made from wood, slate or stone features are another way to incorporate natural materials with an existing design. Don't forget natural furnishings as well, cotton or wool fabrics will provide comforting textures and are soft to the touch. A rustic home is a cosy home. Cosiness as many of us know, is created by the introduction of lots of textures. Exposed and unpainted bricks almost always have lots of interesting textures and that makes them perfect for this interior. While painted bricks are great, if you are lucky enough to have unpainted brick walls, don't paint them over! They have that soft, earthy red tone eponymous with country interiors. A rustic interior embodies nostalgia and a sense of respect for times past. Preloved and upcycled items such as old furniture with solid workmanship are a key part of this look. While we may not always have vintage items available, there are lots of ways to fake the look. 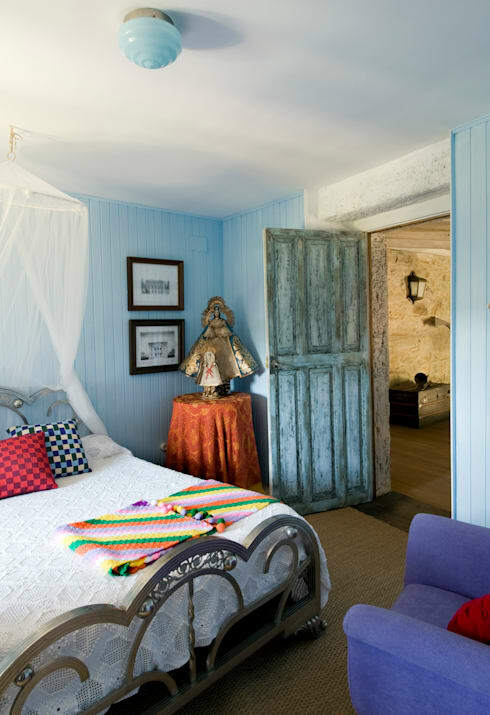 Just have a look at this rustic bedroom by Interior Architects Oito Interiores. The iron bedframe may be new, but it really creates a solid, old-world look. Another option is to use wooden furniture with a faded paint finish as seen in the distressed door here. To really create that look of authenticity, add a few dents and imperfections in the wood to mimic the passing of time. 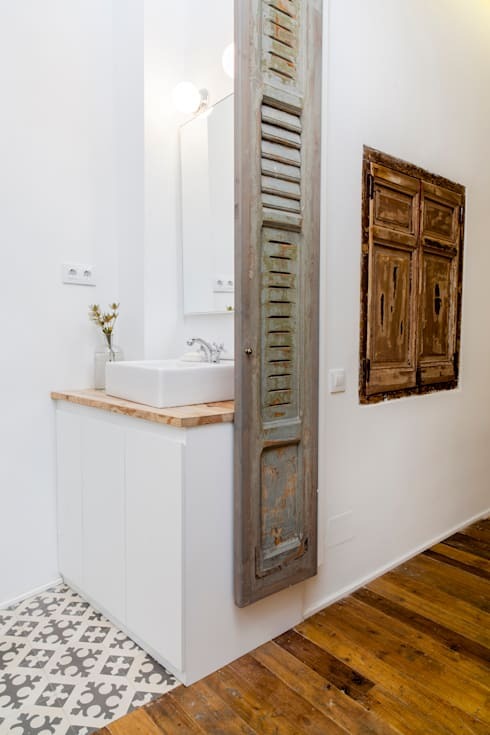 Distressed wooden shutters have been trendy for a few years now. They are great standalone decorative items that will work with a huge variety of interiors. We love them because they can be simply propped up against the wall for an instant rustic look. But as seen here, they can also work well when attached to the wall of a relatively contemporary bathroom. After all, many of us love the simple rustic look, but love the sophistication of a contemporary bathroom. 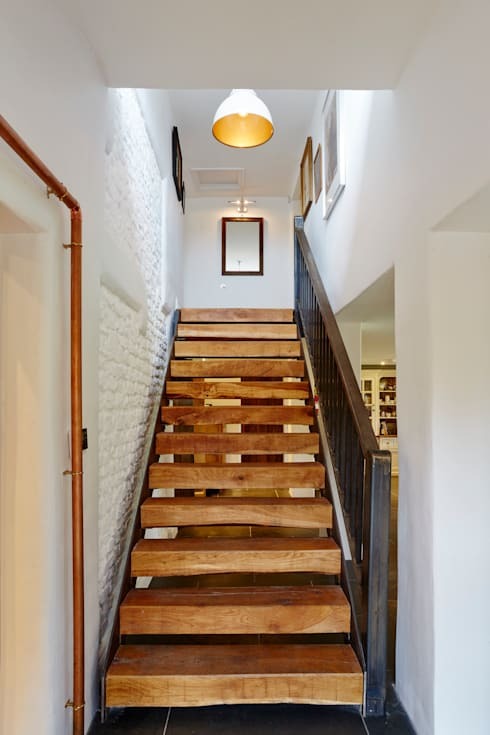 A wooden staircase has that solid, functional feel that works well with rustic interiors. The natural texture of the wood will offer grip and the earthy tones of the wood will add that all-important golden tone to the colour scheme. If a wooden railing is out of the question, older-style cast-iron is a good match. To finish off the look, choose a set of thick, roughly hewn risers like this to complete the rustic look. If you are interested in rustic and country interiors, you would love this Ideabook The rustic and warm log cabin. What do you think of the rustic look? We'd love to hear how you plan to combine it with other decorating trends.